Your event is only as good as the bar and the people behind it! Planning the bar at your event can be a daunting task, what do I need?, how much do I need?, where do I purchase? These are all things Patti and Dana can assist you with. Being in the service business for over 30 years has provided us with wonderful experiences that we love to share with our clients. Patti has the all around experience in the bar and food service industry. She has owned and consulted with many local businesses and has the experience you won't find anywhere else. Patti can help you plan your event from integrating your thoughts and ideas of a simple theme to something a little more extravagant. Dana has worked with Patti since 2015, bartending in many locations throughout New England. He has worked as a customer service manager for many years at the same company and finds pride in serving his clients. Together we bring these talents to your event from start to finish and our service is like no other. We enjoy the presentations and the commitment to each individual event. 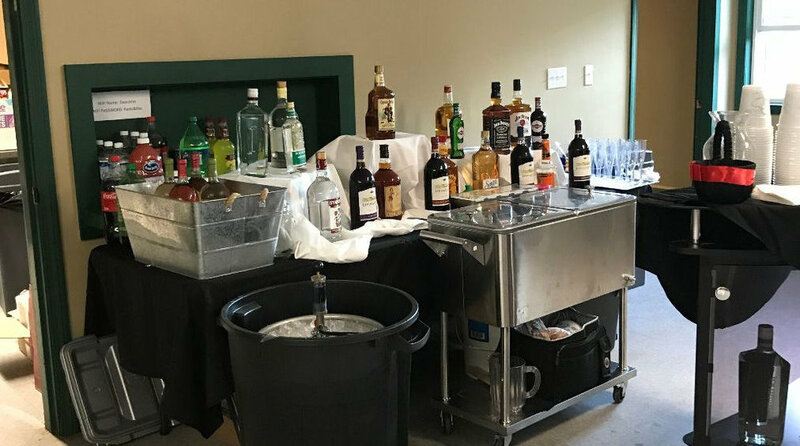 We come prepared to make the bar area a welcome spot for your guests. Check out some of our gallery photos above.